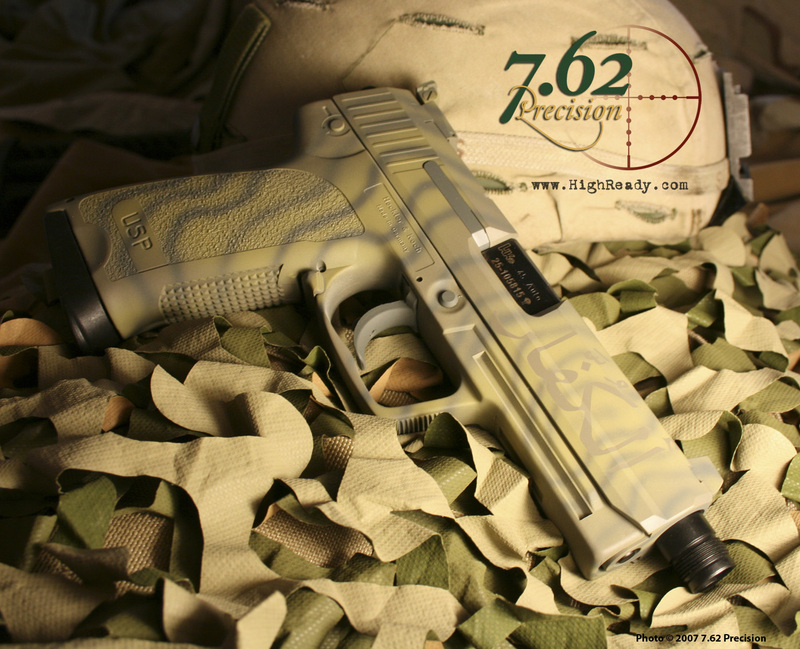 With a custom finish from 7.62 Precision, your firearm will be admired at the range and invisible in the field. Give your favorite firearm the unmatched looks and protection provided by our rugged camouflage finishes. Please check the links to the right for examples of our work. 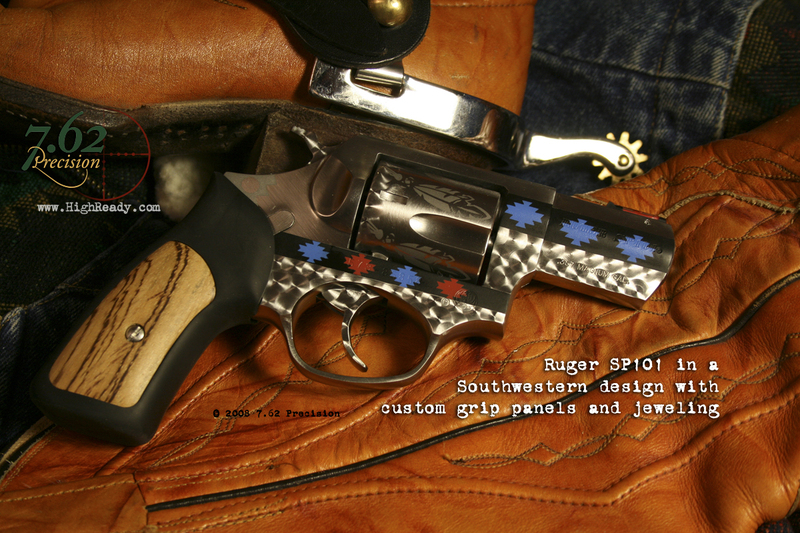 These photos are of our work on customer’s firearms. They are not photos of firearms for sale. We can sell firearms, and we can put finishes on your own firearms, but we cannot sell the firearms in the photos; they belong to our customers. 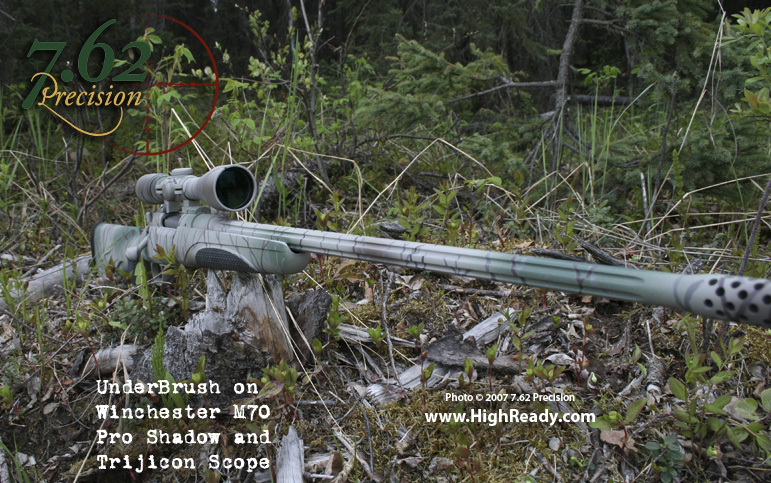 Can you do my Savage 116 .300 Win Mag including Scope in the copperhead design, how much will you ask and turnaround. I have recently purchased Savage Rascals for all of my young grandchildren (4). Since both girls chose pink, I need to make each a little different and then I will need to do likewise for the boys. I saw the your pics when I googled images of the gun and was wondering what otheroptions are available and how durable are the stock finishes. or just send an email and we will discuss options. 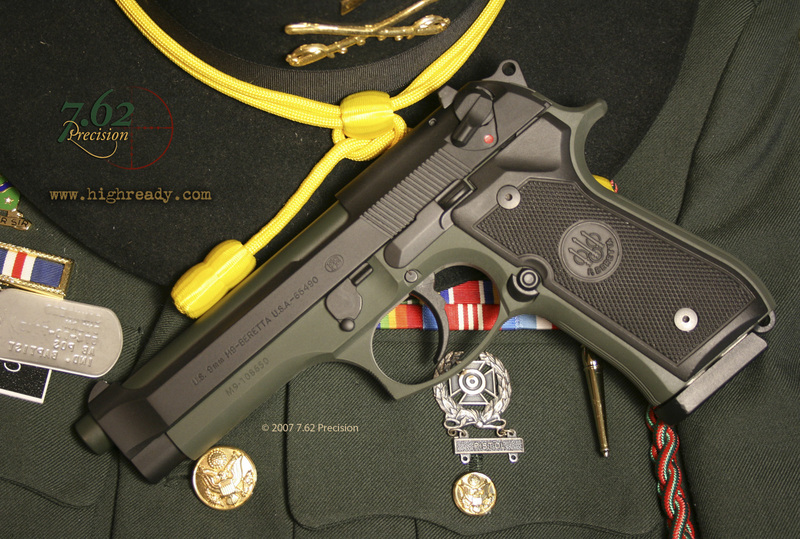 I’m curious to know how much it would cost to make that camo w gold finish on that Kimber 10mm TLE? How well does the paint job last after a day at the range? What cleaning solution should one use? I’m looking into getting my ar 15 and my mod 2 xd done. Price and quote please. It is very durable. Please look at our article on durability to see real-world examples. Any standard solvent is fine for cleaning or lube – this stuff is impervious to most solvents. Avoid acetone as it might degrade it over time, I’m not sure. Once this stuff is cured, it resists almost everything. I have had no success in removing DuraCoat with any solvent once it has cured. They finishes are very durable. Many, many trips to the range and gravel pits over the years (4 or so?) and the only damage is where other people fumbled steel magazines into the magwell. Not ANYWHERE near as fragile as Rustoleum. (TM) Worth the investment. Any work done with Pencott Greenzone or Badlands patterns? How about Slovenia Slocam? Would be neat to see. We can do most patterns, have not yet, though. 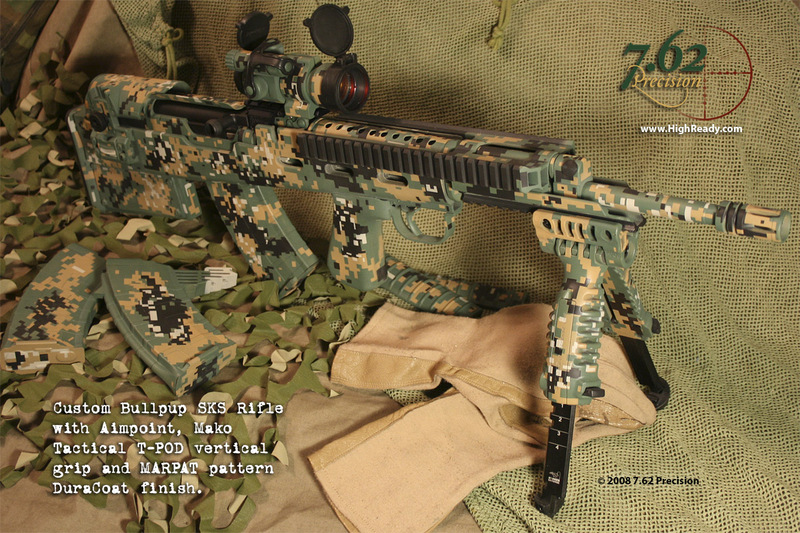 Can you do custom jobs on a remington 700 30.06? I would recommend the DuraBlue. It turns out really nice. Have you ever done any paintball markers? I love the colors and I feel it is demeaning to women to insinuate that we aren’t aware that guns kill. We are well aware of that but as a wife,mother and strong woman what’s wrong with choosing a color that doesn’t have any effect on how good of a shot you are. Looks good should perform the same. Try a fancy grip finish only . I have worked with many who’s work on their grips made the officer I.D. 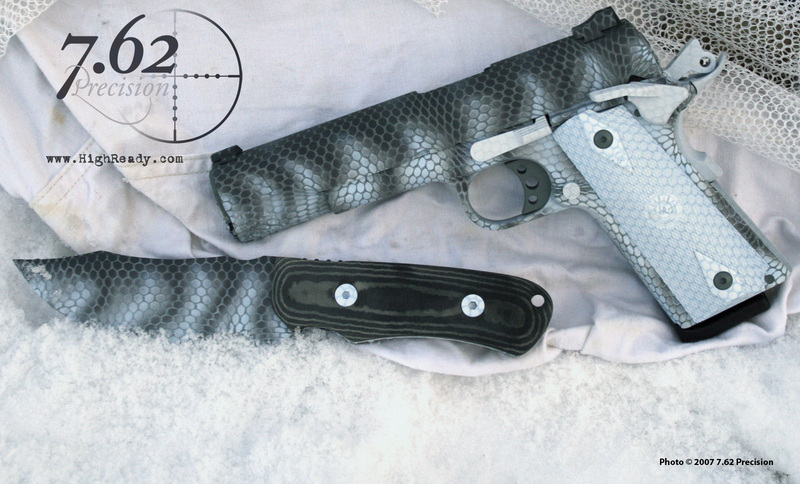 by his pistol grips with unique finish.great for the collector also. With the tight tolerances of a Kimber handgun, can can you apply a coating that won’t affect the operation? The slide is stainless, the Crimson Trace grips are Brown woodlike and the frame is the black Kimpro coating (which is wearing off). Yes, we never coat the slide/frame rails on any 1911. Looking for prices to wrap my m1 in copperhead. I’m curious about the picture of the Colt 1911 series 80 with the flat black duracoat over the hard chrome with the chrome highlights on the trigger, safety, slide lock, etc. You can do that with any 1911 but has to already be in stainless steel or hard chrome and it will turn out just like that correct? How much would that cost me? I’m very interested in that finish! I saw a picture of a Colt 1911 80 series with a flat black or black duracoat over the hard chrome finish but left the hard chrome highlights on the trigger, safety, slide lock, barrel, beavertail, etc. It said you guys can do that on any 1911 that is already in stainless steel or hard chrome correct? How much would that cost me? If you can email me a quote on the black duracoat finish I’d appreciate it thanks. I have a para ordinace 1911 expert would love to chrome out like you did the colt 1911 .45. What would that cost me? IS it a stainless pistol? Email us for a quote on the viking design/finish, please. I just saw the viking style AR on Facebook and was wondering what something like that would run. Definetly the most beautiful firearm I’ve seen. What do you think when people gets confusde about reflex, holo and red dot sights? For me, reflex & holosight is under one big category – red dot sights. So, if someone talks about red dot sights, it’s either reflex or holographic. agree? Yeah, it is pretty much splitting hairs. No mater how you do it, what type of light source you use, you are reflecting light against a non-magnified lens/mirror that puts a reticle on the same focal plane as the target. The use is the same, the advantages are basically the same, and practically there are just some differences in what type of reticle can be projected and battery life and stuff like that. Wow!!! Just when I was done dreaming and gitting some sleep!!!! “Than out of nowhere”!!! Precision Custom Firearms appears…..!! Ugggg now I’m on the kick to build my wife an AR-15 and send it to you to have a custom pink and white digital pattern put on it!! Thanks a lot guys! You do fantastic work!!! WOW!! Quality workmanship with impeccable style! You guys are in Alaska right?? Just received my Mossberg 590 shotgun back in a custom Chameleonflage / Flecktarn pattern and it looks AWESOME. 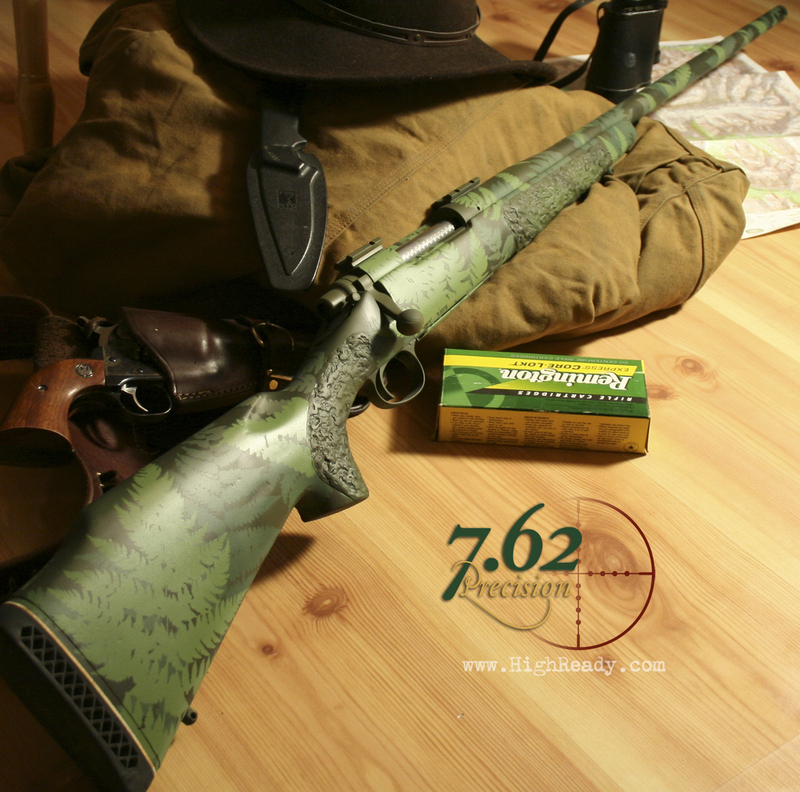 7.62 Precision is undeniably the best Duracoat Finish Provider and is highly recommended! Thank you! These guns are so freaking awesome……..! Wow.. nice works of art. Just received my M1A back from 7.62, Couldn’t be happier. Can’t wait to see pics on this site! You guys need a facebook page! Is that Arabic on that USP? How about posting some cool pictures from the SHOT show? Happy Crimmas to you all up there in Alaska!